Our friend and Contributor Rob Grayson was, indeed, in Jackson MS before landing his prime gig at 56 WHBQ Memphis. Sent in with no fanfare or description, this is, nonetheless, the first recording of music radio in the deep south, and it really shows that talent and good programming was heard all over the nation in the mid-1970s! Grayson is known here as Bob Gray. Note the energy. Even going into Dorothy Moore’s “Misty Blue” it sounds like Gray is having a lot of fun. It makes the station sound fresh and exciting. And we can’t help but compare today’s so over-produced and bland liner card, voice-tracked stations to even THIS medium market station which sounds so refreshing to hear all these years later. The audio quality is superb, as well. 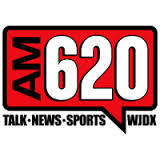 WJDX was a station, and Jackson, MS a market, which benefited from a host of fairly talented relatively indigenous folks working their way through on the way up. I was the least of these. Before I ever came along, the basic staff of mid-1970’s Y100 Miami worked at JDX. Doctor Brock at WCFL had been Rick Shannon at Jackson’s WRBC. The future stars of RKO General programming, Gerry Cagle Peterson and Harry Nelson had been WRBC jocks. Shoot, even the creator of MTV and head guy at today’s Clear Channel, Bob Pittman, did time at WRBC and WJDX. Very Nice ! VERY !! Jackson was really the best place to hear the talent coming up. I grew up here and listened all the time to WJDX and WRBC. My uncle Bobby Webb was one of the jocks at RBC in the 60s as well. Great music to listen to and the air talent was lots of fun, including Bobby Gray(son).